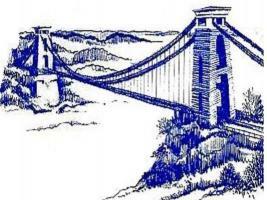 Rotary Club of Clifton (Bristol) - welcome! Please scroll/swipe down through this page to find out more about us, in addition to the pages linked in the menu, top-left. Welcome to our website. We would be delighted if you would consider joining the Rotary Club of Clifton. Annual Charity Firework display, Charity Swimarathon, Senior Citizens Christmas Concert, Young Musicians competition, Youth Speaks competition, and much more. As you are visiting our website please have a look at our current Facebook posts below and "What we do:". If you like what you see please come along to one of our meetings. Email secretary@cliftonrotary.org or telephone 07854 583773 the weekend before so that we can book you in with our caterer. We welcome visiting Rotarians, who may be on holiday in our area or just want to see another club. Again e-mail secretary@cliftonrotary.org the weekend before so that we can book you in with our caterer.